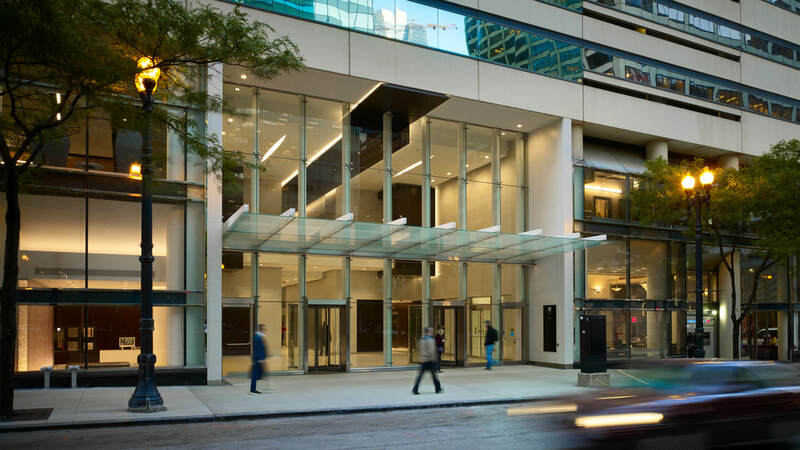 203 North LaSalle, constructed in 1986, underwent a rebranding under the leadership of Sumitomo Corporation of Americas. ESA is the architect of record and assisted with the design of the ground floor lobby and atrium renovation, the addition of a Clark Street entrance canopy, and new Clark street entrance. ESA also designed the second floor tenant amenity spaces, including a conference center, tenant lounge, fitness center, and public toilets. Our interiors department worked with the client to select and purchase new furniture and equipment for all of the remodeled spaces. ESA assisted in the production of marketing materials for both the first and second floor renovated spaces.